We offer a wonderful selection of rockers and ensembles.These memorable and practical gifts provide an excellent source of activity and entertainment. Made to last, they can be handed down to younger family members. 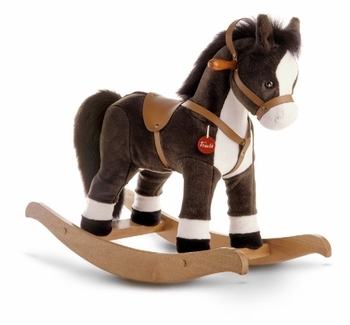 For new babies, we also have some unique gift sets with premium layette items paired with a rocking pony for a truly distinctive choice!